" 'Well, I was out here on the highway, and I was driving and I had a flat tire and I got out to change the tire, and when I was changing the tire, the lug nut fell off, and I wasn't paying attention that I was on the middle of the highway. I stood up and there was a 30-ton logging truck going 120 miles an hour about ten yards in front of me, and it ran me over and that's why I'm late.' Now, there would only be two logical conclusions. One, I'm a liar or two, I'm a madman. You would say, 'Brother Paul, it's absolutely absurd. 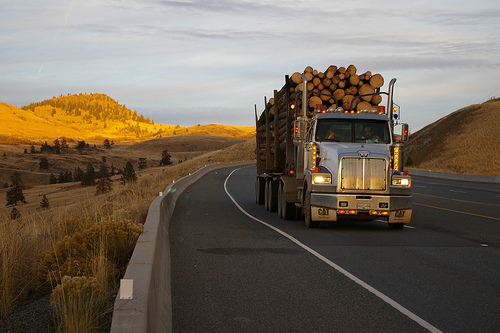 It is impossible, Brother Paul, to have an encounter with something as large as a logging truck and not be changed.' And then my question would be to you, What is larger? A logging truck or God? How is it that so many people today profess to have had an encounter with Jesus Christ, and yet, they are not permanently changed?"